Category Archives: . News & Events . 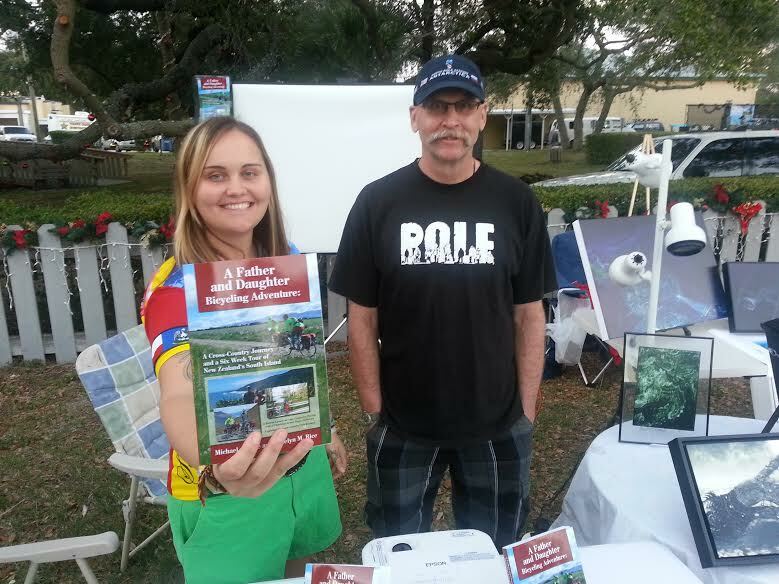 Our first book signing at the December Cape Canaveral Friday Festival. We rented one spot to sell our book and my son Cary’s art. View his profile and work at Ezeleolos.com. Jocelyn pushing our book. Sales were good. 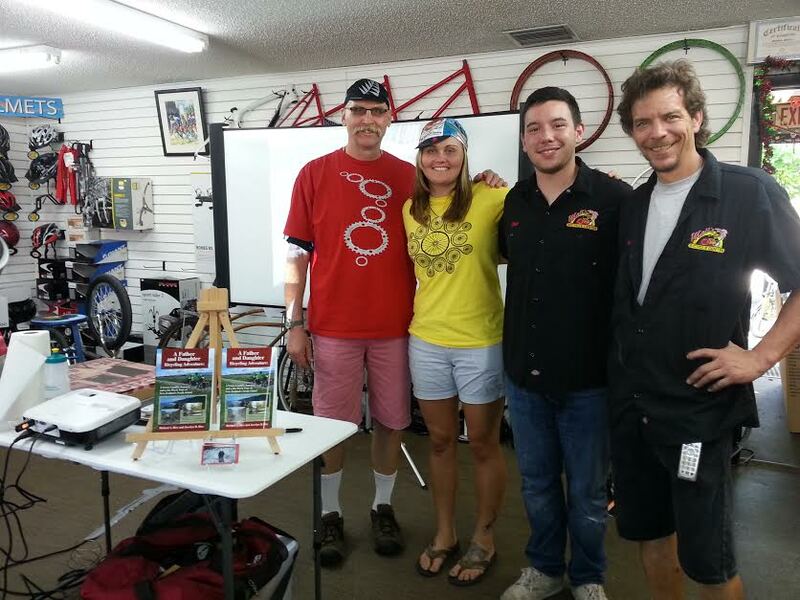 Another book signing at Matt’s Bicycle Center in Cocoa Beach (matt’sbicyclecenter.com). Matt ,on the right, and Chris helped us a great deal preparing for our cross country trip. 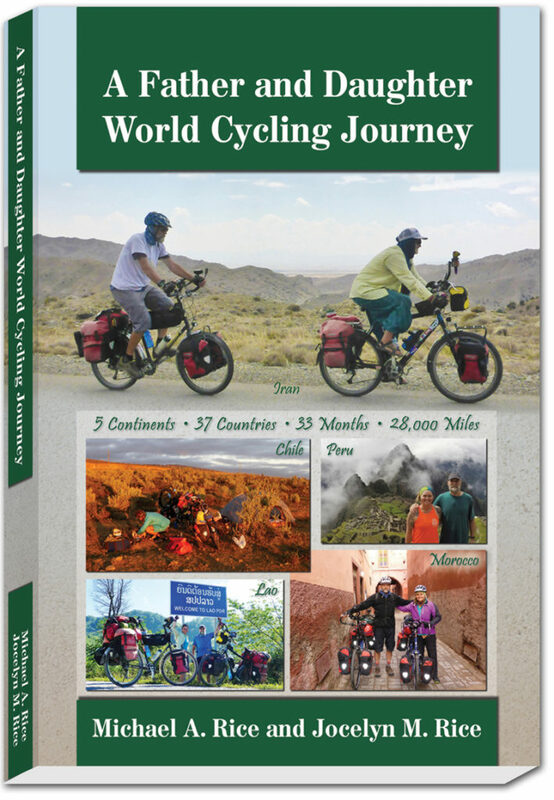 They are also helping us with our world tour bicycle needs. 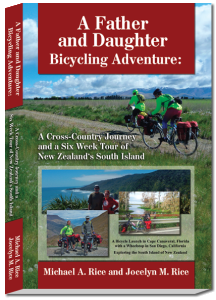 We have had three book signing with lots of books sold and contacts made while planning for our next ride. We have a really good setup that attracts people to our booth. With a projector and large screen we play slideshows of our U.S. and New Zealand trips. Our new Epson projector does a great job. 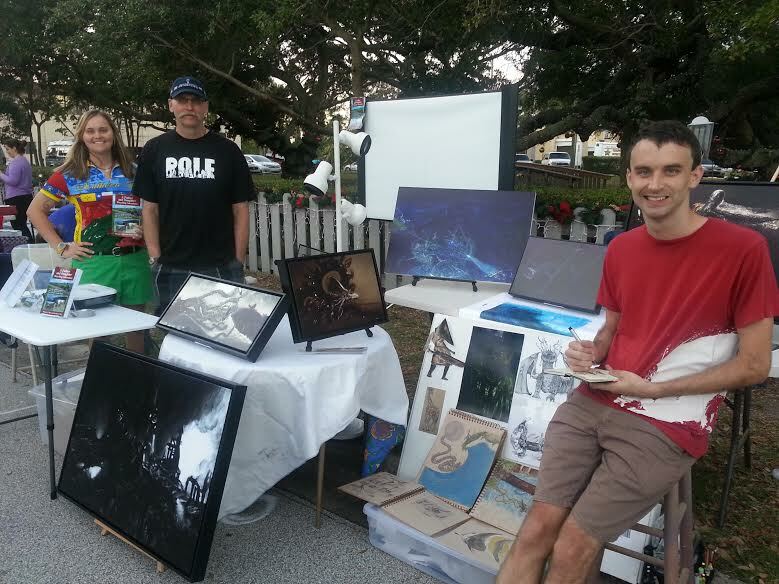 After the Cape Canaveral and Cocoa Beach Friday Festivals Cary has created quite a following selling his art along with two commissions. I’m really proud of him.